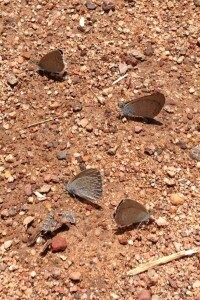 Be careful when walking along the gravel tracks on Red Hill this month in case you tread on flocks of tiny Common Grass Blue butterflies congregating on the damp gravel. 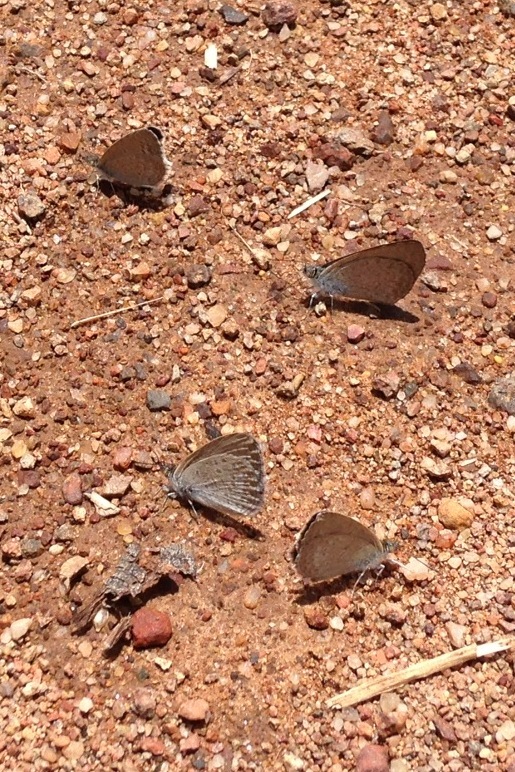 Dr Suzi Bond says that these butterflies are ‘mud-puddling’, where butterflies aggregate to access minerals dissolved in the damp soil. There will be more fascinating insights from Suzi when she leads the Butterfly Walk on Red Hill on Sunday 22 January 2017. By redhillregenerators in News (2016) on 18 December, 2016 .